Bisho O'Dowd grad Devante Dubose has bounced around pro soccer since the Earthquakes drafted him in 2014. 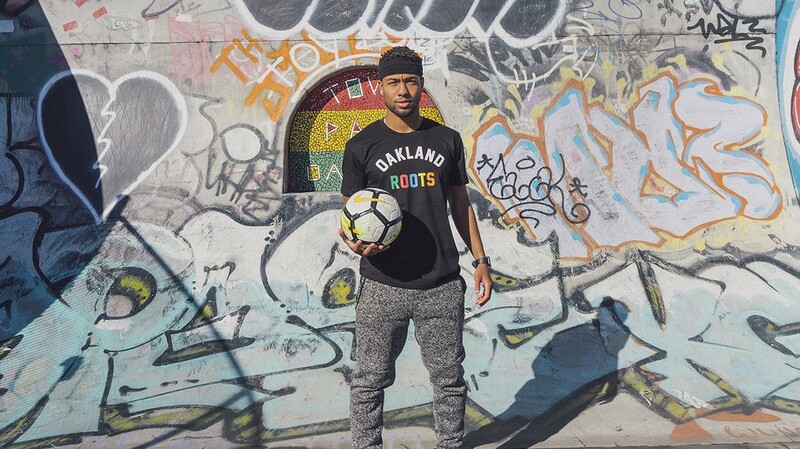 In the latest sign of progress that a professional soccer team is coming to the East Bay, the Oakland Roots have announced the signing of their first player — a homegrown athlete who's fully rooted in Oakland. His name is Devante Dubose, an Oakland native and Bishop O'Dowd grad who starred as a Virginia Tech defender before the San Jose Earthquakes drafted him in 2014. He didn't stick with the Quakes. In the past few years, however, he has played for pro league squads in Oklahoma and Texas and appeared in 15 games last year for a Phoenix Rising team that won the United Soccer League's Western Conference. Dubose, 26, said he was thankful to continue his soccer career with the fledgling Roots in his hometown, "where it all started" for him. "I'm even more grateful to be part of something that is much bigger than me here in my community," Dubose said in a statement released by the club. "I am honored to be the (team's) first-ever signing, and grateful to be a pioneer for the sport in such a prestigious community." Team president Benno Nagel said Dubose is the perfect person to represent the Roots and forever be known as the franchise's first player. "Being born and raised in Oakland, Devante has a passion and determination for the vision of our club that extends well beyond success on the field," Nagel said. "His commitment to our community and our ability, together, to leverage the power of sport to inspire young people in Oakland means that we're acquiring much more than just a highly talented soccer player." 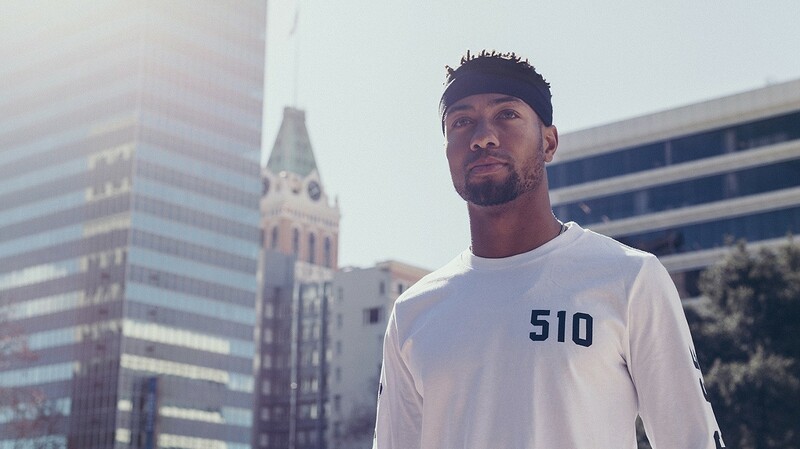 The player announcement included the release of a 60-second YouTube clip featuring Dubose wearing Roots merchandise at Lake Merritt, Jack London Square, Frank Ogawa Plaza, and other Oakland spots. The polished video immediately created buzz around the club on social media, drawing praise from sportswriters and soccer fans nationwide over the Roots' inspired, offbeat branding. The Dubose signing was just one of several moves the Roots franchise has made recently as it prepares to join the National Premier Soccer League — a pro league that will have 11 teams nationwide, divided between East and West divisions. The Oakland club plans to start preseason games in July, preparing for real matches in the first NPSL Founders Cup in August. After that, the Roots will compete in the NPSL's West division, with franchises from Arizona, San Diego, Orange County, and Ventura County (north of Los Angeles). The NPSL's national championship will be held in November. Roots officials say they have yet to select a home venue in Oakland, but they expect to finalize that decision in the coming weeks. It's one of the few details the club has yet to iron out, as the team's co-founders — who include Nagel, Edreece Arghandiwal, and Mike Geddes — have worked for more than a year to make their Oakland soccer dream a reality. Nagel and other Roots officials are passionate about building a sports franchise that reflects Oakland's strong sense of community pride, as well as its history of diversity, social progress, and being a champion of the underdog. They also see The Town as a "soccer-ready" city filled with fans passionate about clubs from all over the world, with thousands of Oakland televisions dialed each weekend to games played in Mexico, England, Italy, and elsewhere. "I've lived in Miami and I believe Oakland is even more ready, culturally, to embrace soccer than Miami," said team spokesperson Tommy Hodul, also the Roots' director of fan engagement. "I mean, in Oakland we already have a soccer-style fan base with A's fans, who are the most soccer-like in baseball, with their signs and banners and chants at the Coliseum." Team leaders have been making slow but steady progress in adding front office staff, bolstering community outreach, and building the Roots brand. Last November, they held a meet-and-greet with soccer fans at The Athletic Club Oakland, the Uptown sports bar where team leaders frequently gather to watch international matches. Roots officials also have begun partnering with youth soccer clubs all over Oakland, said Hodul. The club's outreach efforts continued when Dubose attended last weekend's annual Black Joy Parade at 20th and Webster streets in downtown Oakland. There, he visited with local fans and play in a few street matches. In addition, the Roots recently hired J. Ramon Estevez in the role of executive vice president and chief operating officer. Estevez, a San Francisco native, has a lifetime of soccer experience — as a player and an executive at multiple levels in local and national pro soccer. His resume includes several roles with Major League Soccer, and he led the launch of two San Francisco clubs in the United Soccer League. The team also has added Zach Cohen as director of social equity and community partnerships. Cohen, a Berkeley High School grad, knows East Bay fans well, as his lengthy pro sports experience includes stints with the A's and Warriors. The Roots' founders have continued adding well-heeled investors — a group that includes Steven Aldrich, chief product officer at GoDaddy.com. Aldrich, a lifelong soccer fan, spent his formative years playing and watching the sport with his father on the East Coast. "I loved the community aspect that I felt in those small towns where I grew up," he said. "For me, those are some of the elements we want to recreate with the Roots." Aldrich said he encourages local fans to contact the club on social media and the team website (OaklandRootsSC.com) to share their opinions on how the Roots can best reach its goals of building a great soccer team that fully represents Oakland. "The only way we'll be successful is if we connect with fans who don't yet know they're a fan," he said. Roots officials believe Oakland is poised to become one of the nation's next great soccer cities. And they're looking to cultivate a new fan base among supporters that have been stung by the impending departures of the Raiders and Warriors. Can a New Oakland A's Ballpark Help Fight Gentrification?